A trainee groundsman at one of the country’s top golf courses and a trainee food development technologist who helps to bring new ready meals to the supermarket shelf took the top titles at Reaseheath College’s Apprenticeship Awards. 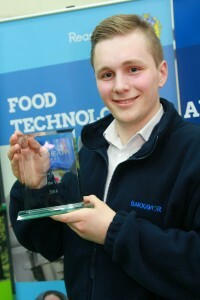 Peter Lewis, an apprentice groundsman at the Royal Liverpool Golf Club, Hoylake, was crowned ‘Level 2 Apprentice of the Year’ while James Tickner, a development apprentice with Bakkavor Hitchen Foods, Wigan, was awarded ‘Advanced Apprentice of the Year’. The event marked the achievements of 150 apprentices who had gained their qualifications at the Nantwich, Cheshire, specialist college in the past year. It was held during National Apprenticeships Week, a celebration of the benefits which apprentices bring to businesses and to the national economy by increasing productivity and providing workforce succession. Also selected for special awards were Best Horticulture Apprentice Rebecca Dawson, who works at Cholmondeley Castle Gardens, Malpas, Best Construction Apprentice (Brickwork) Adam Platt, who is employed by Greg Lambert Ltd., building contractors in Northwich and Best Construction Apprentice (Joinery) Ewan Collins of Magno Property Maintenance in Whitchurch. Best Agricultural Engineering Apprentice (Parts, Sales and Marketing) was Mary Wallbank, a customer care trainee with Guy Machinery Ltd, Gisburn, Lancashire. 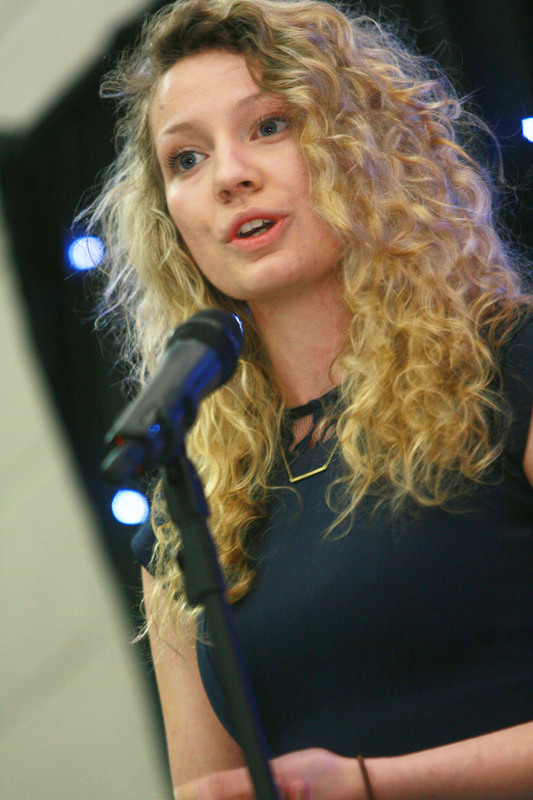 Mary, 21, joined guest speaker Lee Webster, Managing Director of Hultons Landscapes, on stage to make a presentation to a packed audience of employers and families. Opening the ceremony, Reaseheath Principal Meredydd David emphasised that apprenticeships were recognised by the government as the preferred training route for employers and that demands for places from young people were currently at an all time high. The apprenticeship training programme delivered meaningful and highly valued qualifications along with skills and knowledge which were of vital importance to the country’s economy. Continuous upskilling was essential if the UK’s workforce was to be able to compete in European and world markets. Meredydd also pointed out that Reaseheath’s apprenticeship provision had earned praise from Ofsted inspectors last November, with the college’s outstanding work with employers and the industries it serves being particularly commended. The college’s apprenticeship frameworks and success rates were well above the national average and apprentice satisfaction rates were also very high.